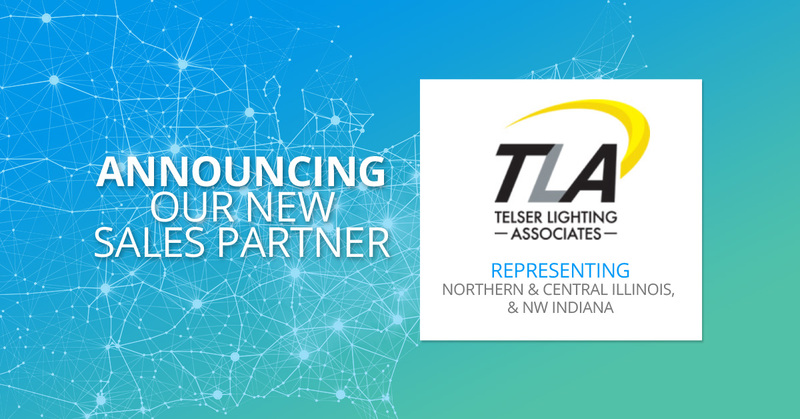 SENSORWORX is proud to introduce Telser Lighting Associates (TLA) as our new Sales Partner and representation for Northern and Central Illinois, as well as NW Indiana. TLA will provide SENSORWORX with targeted sales coverage and unbeatable service in those areas. “We are so excited to be partnered with a company like SENSORWORX. Having the opportunity to build the SENSORWORX brand together as a team was something we could not pass up. When we started Telser Lighting not many people believed in us, but we pushed and outworked our competition to succeed. We are a growing company that sees the upside of SENSORWORX and what the future holds for our industry. The Telser Lighting Team is ready to rock the controls world with SENSORWORX!”, says John Molak, President at Telser Lighting. Additionally, TLA has a strong background in both the retrofit and distribution market, which provides SENSORWORX more concentration where the product is most requested. They are well connected to the correct markets and hold valuable distributor relationships in their territory. “John and his team are the definition of focus and determination. We knew they were the perfect fit for SENSORWORX after our first meeting. Their energy is addicting, and we see why they are so successful and continue to grow. We are excited and grateful to go on the journey with them and know they feel the same about SENSORWORX” says Josh Bond, Vice President at SENSORWORX.